Bladder Cancer is committed to the highest ethical standards and best practices in publishing and follows the code of conduct for Committee on Publication Ethics/DOAJ and the ICMJE. Any possible conflict of interest, financial or otherwise, related to the submitted work must be clearly indicated in the manuscript (for further details see http://www.icmje.org/icmje-recommendations.pdf). 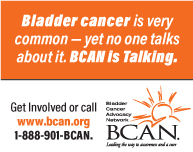 Bladder Cancer affirms that misconduct, in the form of fabrication, falsification, or plagiarism, jeopardizes the success of the entire scientific endeavor. However, the primary responsibility for considering and resolving allegations of scientific misconduct must be pursued within the individual academic communities and institutions where the scientific work is carried out. Every author of articles or abstracts submitted for publication assumes full responsibility, within the limits of his or her professional competence, for the accuracy of the report. In the case of multiple-authored papers, each author should have made a significant intellectual or practical contribution to the scientific work. Authors submit articles with the understanding that reports must not have been submitted elsewhere. In the event that a published article or abstract is to be retracted, a statement of retraction will be published Bladder Cancer.